Brass hardware is an alloy of copper and zinc. This combination creates a more durable final product. Lacquered brass hardware, when applicable, reduces tarnishing that occurs naturally when unfinished copper is exposed to oxygen and moisture. As a result, brass hardware can handle normal wear and tear with limited damage. 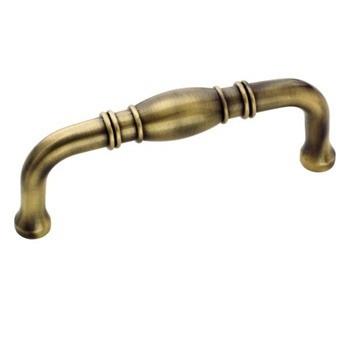 Additionally, you can touch finished brass hardware with wet hands without fear of causing corrosion. Brass hardware is available in a range of copper and other copper alloy colors, including shades of copper, bronze, brown, and green. You can also select from a wide range of yellow to golden hues and multicolored options not otherwise available. For example, some hinges with detailed designs have an antique brown brass finish accented with golden decorative highlights, while some plain hinges have European-influenced brass shades darker than standard bright yellow. Depending on the finish, brass hardware creates a warm harmony or vibrant contrast with light- and dark-colored cabinetry. Polished, brushed, hand rubbed and antique finishes are available; as well as chemically distressed discolored finishes featuring spots or marbling. 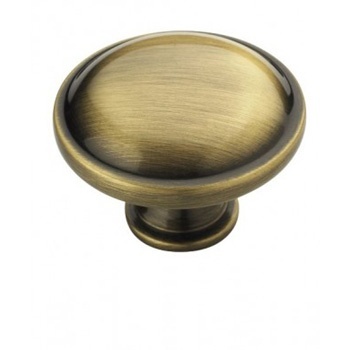 Brass accent hardware is also available as rings, twists, ropes and inset decorative pieces on other popular hardware materials, such as nickel hardware, for mixed-material kitchens. When a homeownerr wants hardware to age naturally to create patina and unique tarnish patterns, unfinished brass is perfect because the copper in it provides natural antimicrobial properties that eliminate germs and bacteria. For this reason, you don’t have to over-scrub unfinished brass hardware to remove dangerous microorganisms. You only need to wipe touched areas daily with a moist soapy cloth followed by damp and dry clothes cloths to remove dirt, dust and food particles. Standard solid brass hardware is generally less expensive than pure copper hardware in terms of manufacturing and replacement. 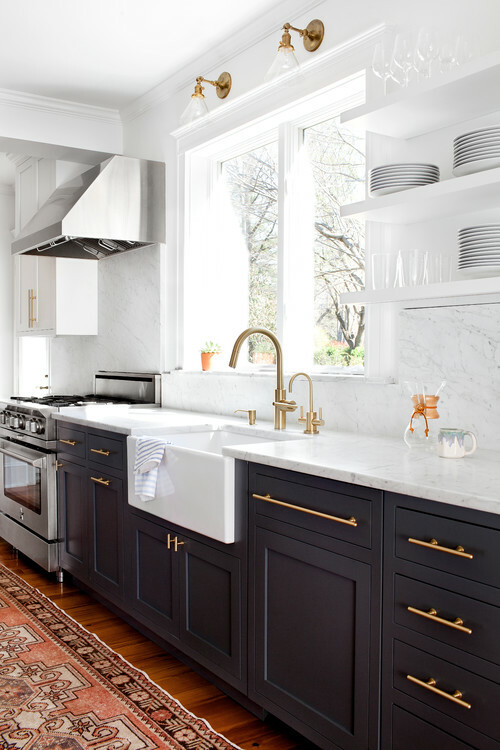 Additionally, high-polished shades of yellow brass can look like gold hardware creating the illusion that you spared no expensive during your kitchen renovation.